IOANNIS PASHAKIS/Sun-Gazette Jeff Thomas, executive deputy director of the state Emergency Managment Agency, speaks with a curated group of experts during the state’s first flood insurance roundtable hosted by the Federal Emergency Management Agency. Experts in banking, local government, realty and insurance met in the county on Monday to work out a path to get flood insurance in more households and to educate more homeowners on the importance of flood insurance in the state. 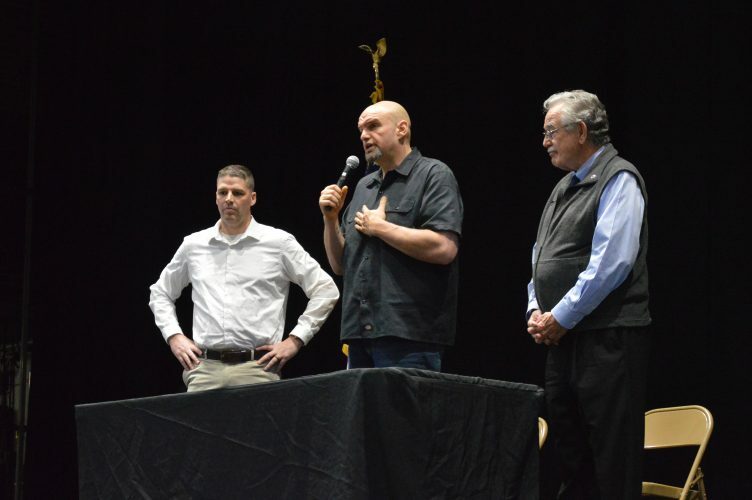 The Federal Emergency Management Association held the first floodwater insurance roundtable of its kind in the state on Monday at the city’s Trade and Transit II. 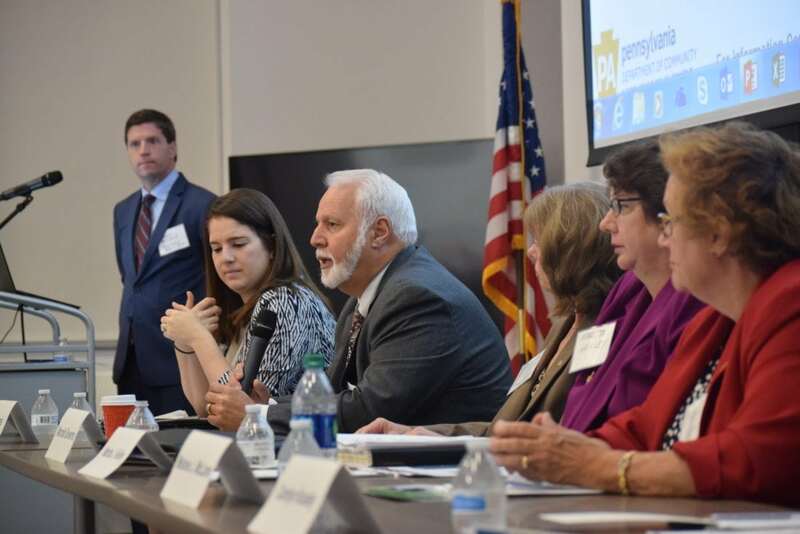 The roundtable, “Living with Water: The future of flood insurance in Pennsylvania” was initiated by FEMA with the goals of bringing area experts together to find methods around the obstacles keeping a majority of homeowners from purchasing flood insurance. FEMA announced early last year that it would be attempting to double its flood insurance coverage countrywide by 2023 through state and private means. “How can we make sure that each of those groups of people are telling the same story about how important it is to have coverage and be best prepared for a disaster so people don’t end up in a situation where they can’t rebuild or they lose their home?” said Margaret Dunn, a risk analyst with FEMA. Conversation bustled around future education and what the panel’s experts saw as the common problems that kept consumers from purchasing any sort of flood insurance. Carolyn Kousky, director of policy research and engagement with the University of Pennsylvania, said most people do not see insurance as a tool to prepare for a disaster, but as an investment. Floods can happen outside of the flood plain due to heavy rains or blocked waterways, said Jeff Thomas, executive deputy director for the state Emergency Management Agency. “People don’t realize that a lot of the flooding that happens happens outside of the 100-year flood plain, happens outside of the places where we have to have flood insurance,” Thomas said. A common problem in selling insurance discussed was that when home buyers purchase property outside of the flood plain, realtors will sometimes tell the consumer that they won’t need to buy coverage in order to close on the sale. Doubling national flood insurance coverage will take a change of heart from those home owners that don’t live in the floodzone but have seen just as much flooding in recent years.